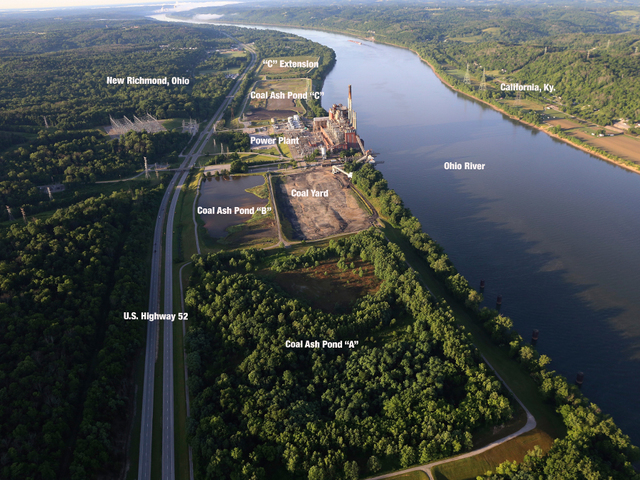 Could toxic ponds on the Ohio River force us to live off of bottled water? 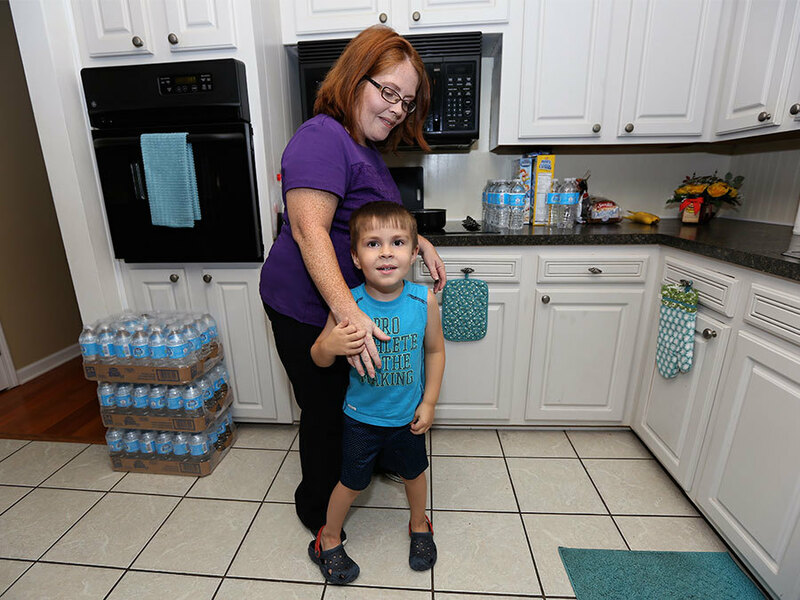 BELMONT, N.C. – Every meal in Amy Brown’s home begins with a bottle of water provided by her neighbor, Duke Energy. A sprawling manmade pond where Duke Energy dumped toxic coal ash for decades sits behind her house. The waste, left over when coal is burned to make electricity, is laden with toxic heavy metals including arsenic, chromium and vanadium. Those same toxins sit in similar ponds on the Ohio River – Greater Cincinnati and Northern Kentucky’s main source of drinking water. And experts fear that, without proper care, 5 million local residents could end up exposed to the cancer-causing chemicals or forced to live on bottled water, like Brown. “If you have unlined coal ash pits in your community, you’ve got a big problem,” said Frank Holleman, a senior attorney with the Southern Environmental Law Center. “Most of these sites leak, either directly or indirectly, into the groundwater, and around many of them you even have drinking wells." Last year, the same toxins found in coal ash were discovered in the drinking wells of nearly 400 families across North Carolina following state-ordered water testing for anyone living within 1,000 feet of a coal ash pond. Since then, Duke Energy has supplied bottled water to the families – though the utility says it’s not responsible for the contamination. “When I turn on the faucet, I don’t just turn on the water – I turn on fear,” Brown said. North Carolina’s coal ash plight should serve as a red flag in Ohio, where as many as 44 unlined coal ash ponds are spread across the state, environmental experts say. “If you have 44 unlined coal ash ponds, you have 44 disasters waiting to happen,” said Holleman, who is representing citizen groups in lawsuits against Duke Energy in North Carolina and Dominion Electric in Virginia. Locally, Clermont County was forced to shut down a public drinking well that served thousands of area residents after it was contaminated from a coal ash pond at the neighboring W.C. Beckjord power plant in the late 1980s. In 2014 Duke Energy closed the plant. Now, leaders in Clermont are asking Duke Energy to remove the coal ash – hoping to avoid future problems. Back in North Carolina, Robert Gobble is among the hundreds of residents who, like Brown, have been living on bottled water for more than a year. 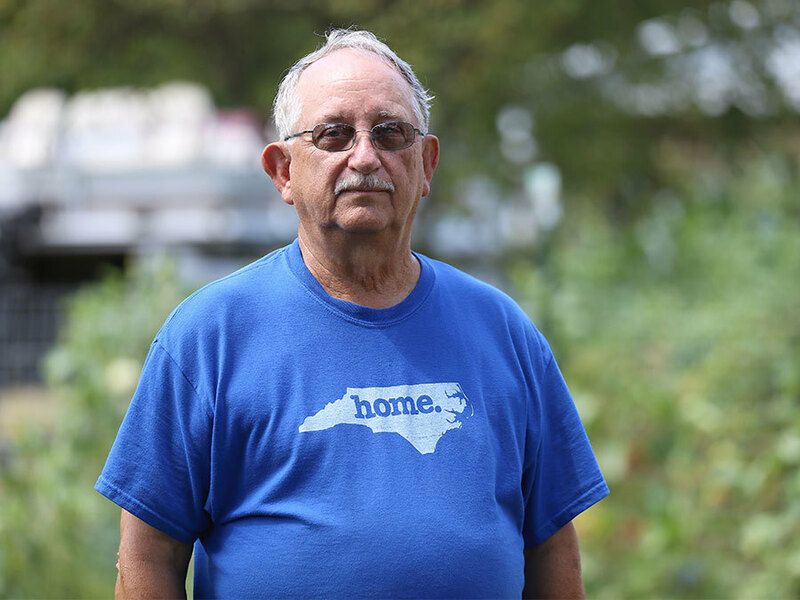 Every two weeks, Duke Energy delivers seven cases of water to his home in Dukeville, North Carolina. For 30 years, Gobble worked at the Duke Energy power plant at the end of his street, which is surrounded by three unlined ash ponds. “All we want Duke to do in this community is be the good neighbor they have been and clean up their ash ponds and put them in a safer pit,” Gobble said. In Clermont County, Duke Energy is expected on Wednesday to offer an update to commissioners on its plan for the ponds and the future of the more than 170-acre site. For now, the company told WCPO it’s still considering its options. “Any closure plan will protect the community and the environment and will put safety first, minimize community impacts and manage costs for customers,” Sally Thelen, a spokeswoman for Duke Energy wrote in an email to WCPO. Clermont Commission President David Uible said he hopes to avoid the lengthy legal battles that have played out in other states, but he wants assurance that any threats posed to the region’s water at Beckjord are cleaned up. Regulators’ focus on coal ash follows numerous citizen lawsuits and massive spills – including the 2014 leak at a closed Duke Energy plant in Eden, North Carolina that sent 39,000 tons of coal ash into the Dan River. Duke Energy has since paid more than $100 million in fines and other penalties to clean up the damage. The company also pled guilty last year to nine violations of the federal Clean Water Act after illegally discharging pollution from coal ash dumps at five plants in North Carolina. In April 2015, Brown was among more than 300 North Carolina residents who received a letter from state regulators warning that their well water was contaminated with higher than acceptable levels of vanadium and hexavalent chromium. The heavy metals are both found in coal ash, with hexavalent chromium being a known cancer-causing toxin. Neither Duke Energy nor state regulators in North Carolina have said, however, that nearby ash ponds have caused the heavy metals found in drinking wells like the Browns’. Duke Energy points to recent studies that show high levels of hexavalent chromium may be naturally occurring in the bedrock. Officials with Duke Energy said that as they’ve tested for hexavalent chromium and other substances in and around the company’s ash pond, scientists have found much higher levels of the metals in the state’s bedrock compared to the ponds. The utility also says that because coal ash is not considered a hazardous waste by the EPA, it's not toxic. But environmental groups argue otherwise. In March, the state’s top public health official abruptly lifted the well water drinking restrictions – though no new testing was performed on the impacted wells.The decision has since been cited as possibly illegal in recent legal proceedings. Duke Energy has continued to provide bottled water to residents whose wells are contaminated. Meanwhile, Duke has also agreed to cover the costs of connecting residents like Brown to the city’s water supply. But so far, Duke hasn’t said that it plans to remove the ash from the ponds behind Brown’s home. Across Ohio, the risk and impact to groundwater from coal ash is "poorly documented" because of the lack of ground water monitoring programs at most sites, according to an Ohio EPA report. Of the 57 coal ash sites in the state, 44 are unlined at least 40 have no regular ground water monitoring plan to detect leaks from the site. In 2015, federal rules went into place that set new standards for how coal ash ponds should be managed and closed. In some states, like South Carolina, electric utilities are digging up coal ash stored in unlined ponds and moving it into lined landfills to protect nearby groundwater. In North Carolina that’s happening at eight of Duke Energy’s 14 power plants. In Ohio, large electric utilities including American Electric Power are making decisions now about the next steps for the ash ponds at its seven power plants in the state. “For all of our ash ponds in Ohio right now, our current plans are for closure in place,” said utilities spokeswoman Melissa McHenry. The effort will include removing the water from the ash ponds and sealing them with a cap – likely composed of clay. Removing and relocating the ash would be a costly venture, McHenry said. 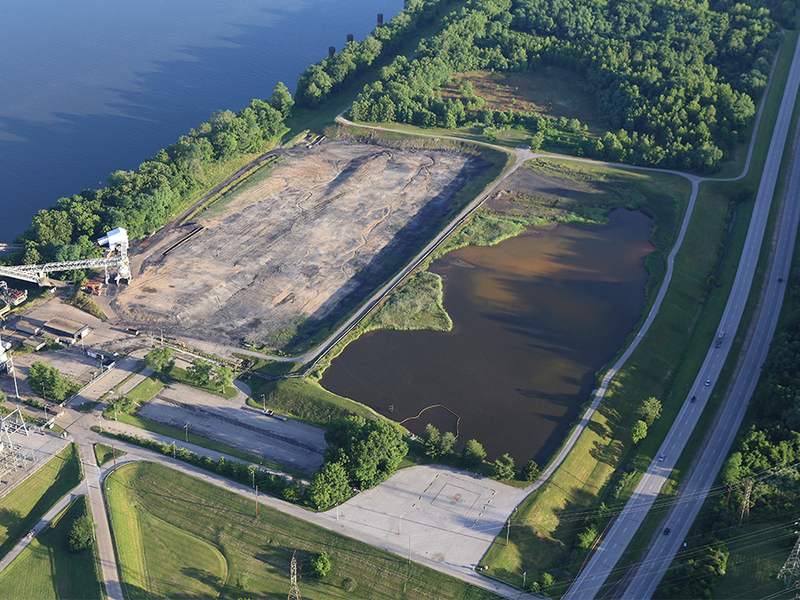 In Clermont County, Duke Energy closed the Beckjord plant in late 2014 before new federal standards were in place for how coal ash ponds should be managed and closed. That means most of the rules for how the coal ash ponds are closed will fall under a limited set of Ohio laws governing coal ash ponds. “In Ohio, legislation is very weak for enforcing power plants to do anything with their fly ash ponds,” Uible said. Under Ohio law, coal ash ponds are regulated as wastewater treatment lagoons. The state’s closure requirements depend on whether the coal ash is being left in place or removed. If left in place, the state calls for the ponds to be drained and then capped and monitored for 30 years. “Thirty years is nothing when these are our fresh water fields forever,” Uible said. For now, the sulfates are redirected from the county’s water well field by an interceptor well that dumps the contaminant into the Ohio River. Meanwhile, the county continues to receive quarterly ground water monitoring reports from Duke Energy that show that sulfates are still leaking from the site. That’s the same substance that found its way into the county’s drinking supply in the late 1980s and has been linked to causing gastrointestinal problems. Back in North Carolina, Brown said she’s going to continue to fight for answers about the pollution in her water.